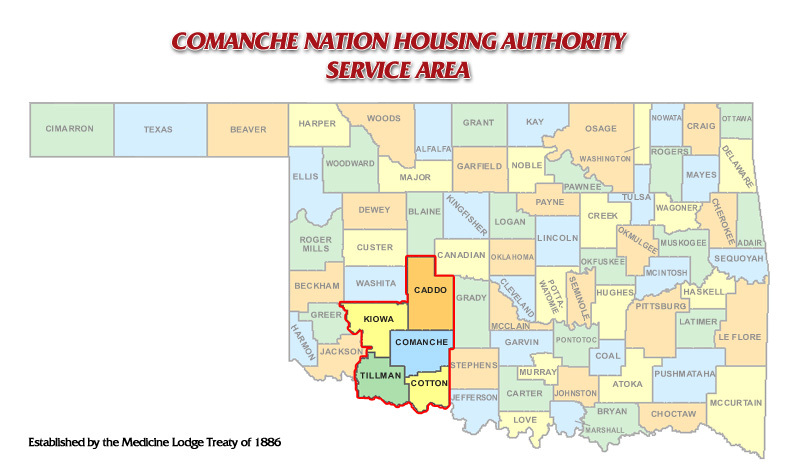 The Comanche Nation Housing Authority (CNHA) is committed to providing affordable, safe, and decent housing, while promoting self-sufficiency through employment, education and economic stability to income eligible Native American families, with preference given to enrolled Comanche Tribal members. 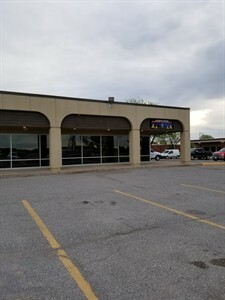 The CNHA has permanently relocated to: 1918 E Gore Blvd, Lawton, OK 73501. Payments should be mailed to: 1918 E Gore Blvd, Lawton, OK 73501. Native Americans with a Federally recognized CDIB card that qualify as low-income as determined by the Income Limits under the Native American Housing Assistance and Self-Determination Act of 1996, with preference given to enrolled Comanche Tribal Members. Income Limits are adjusted on an annual basis. The chart above is current as of April 2016. Please use this information to determine whether you meet the basic low income qualification prior to applying for any program offered by the CNHA. Other qualifications may be required for other programs. On occasion the CNHA receives a special thanks for a job well done. Click here to read just a few of them. The CNHA would like input from Comanche Tribal members. Whether you are a current tenant, or not, please complete this Survey. The CNHA thanks you for your time.